At one time, Cpl. Overby (yes, he was a real Corporal when he started this line) was partnered with Commander Series Models, hence the overlap of the two kit lists. The kits listed below are not "copies" of the Commanders' kits as I had previously reported, but rather they are the same as the Commanders kits (Commanders Series no longer markets these models). Designation MP007 taken over from previous kit. Formally of Rhino Models, but remastered. MP008 Kangaroo 1 Designation MP008 taken over from previous kit. MP009 Kangaroo 2 Designation MP009 taken over from previous kit. MP020 LVT(A)-2 Designation MP020 previously reserved for other kit. Conversion for Dragon LVAT(A)-1 or LVT(A)-4. MP021 LVT-2 Designation MP021 previously reserved for other kit. Conversion for Dragon LVAT(A)-1 or LVT(A)-4. MP023 Jagd-Sturmtiger Fictitious vehicle.Designation MP023 previously reserved for other kit. MP029 Jagdpanzer Brummbär Fictitious vehicle. Designation MP029 previously reserved for other kit. For Hasegawa or Lindberg kits. Kit number previously assigned to other kit. For Hasegawa kits. Kit number previously assigned to other kit. Designation MP032 taken over from previous kit. Designation MP033 taken over from previous kit. Designation MP035 taken over from previous kit. What-if tank. MP040 Cruiser A9 Announced at one time; never released. Number taken over. MP041 Covenanter MkII Announced at one time; never released. Number taken over. For Hasegawa M3 Grant/Lee, but can be adapted to Mirage M3 as well. Designation MP042 taken over from previous kit. (Designation at one time reserved for M5 Stuart). MP054 E-100 Ausf B Previously conversion for Dragon E-100. As from 2014 full kit. Designation MP056 taken over from previous kit. 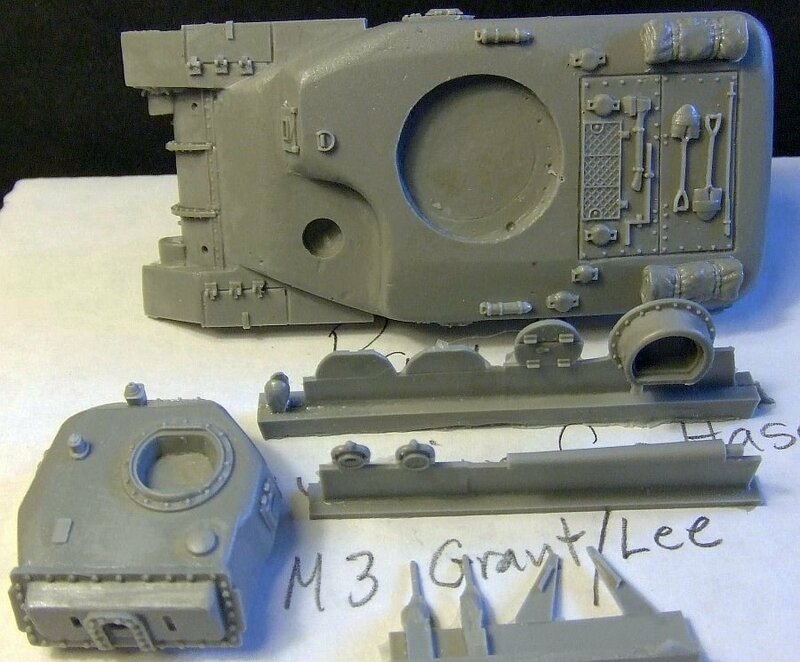 MP059 Ram/Badger Conversion for Esci/Italeri M4A1 Sherman. MP079 VK 72.01(K) "WoT" design. Choice of two guns and three exhaust options. PzKpfw E-50 ausf B "Adder"
Jagdpanzer E-50/E-75 "Eber" Conversion for Modelcollect. MP092 Israeli M51 Conversion for Hasegawa Sherman.